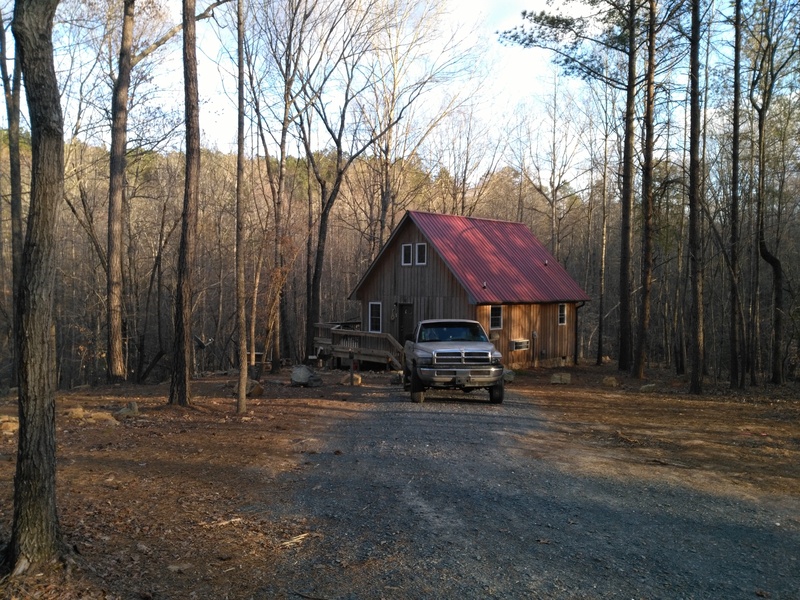 Last weekend, Laura and I rented a cabin in Uwharrie National Forest. 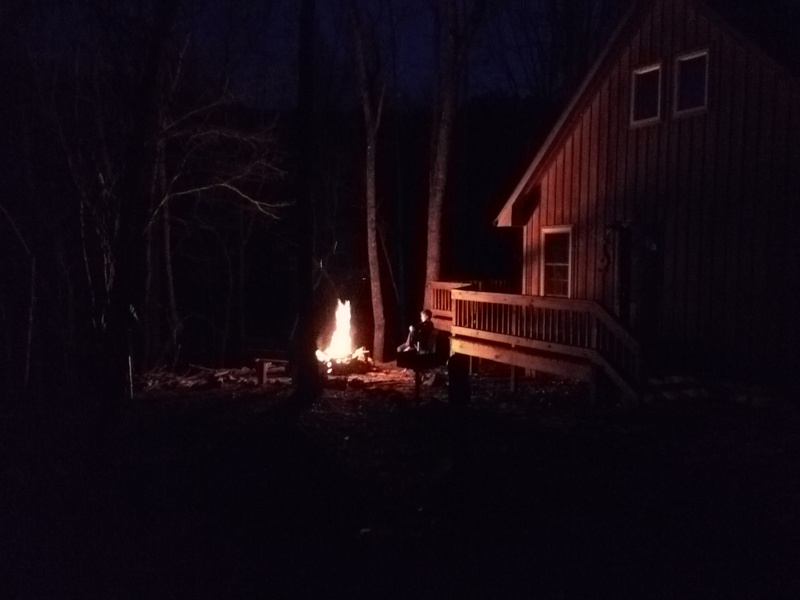 A weekend away from the farm (and the kids) was just the ticket for us. 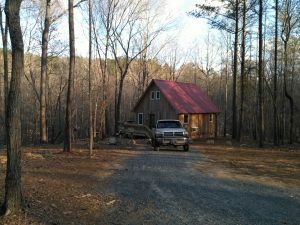 The cabin was a couple of miles from a trailhead for the Uwharrie trail and a 5-minute drive from the Badin Lake Recreation Area. We drove the truck out there, so I could take it on the off-road trails at Badin Lake, but the trails were closed for maintenance that weekend. We also checked out the horse camping at Badin Lake and we definitely want to take the horses there sometime. Saturday, we spent all day hiking on the northern section of the Uwharrie Trail (Morris Mtn section) and when we got back we had some beers and made a fire in the firepit outside. The weather was great and this was the most relaxing day we’d had in a long time. Sunday we drove to Albermarle on the other side of the lake and had lunch there, then we headed home. This entry was posted on Thursday, March 30th, 2017 at 8:32 pm	and is filed under Adventures, North Carolina, photographs. You can follow any responses to this entry through the RSS 2.0 feed. You can skip to the end and leave a response. Pinging is currently not allowed.